Vanessa-Mae will perform at Budapest Arena in May! Budapest Arena will feature Vanessa-Mae! Vanessa-Mae will perform at the Budapest Arena next May! Vanessa-Mae will perform at Budapest Arena on May 24, 2019! This arena boasts capacity exceeding 12,000 people. It is exciting to see Vanessa-Mae playing at another new venue. Furthermore, I hope this concert contains new music! If you plan on going, have fun! In addition, why not let us know on the forum? More information, including how to purchase tickets is found in this link. Author BenPosted on December 5, 2018 December 5, 2018 Categories NewsTags budapest, concert, electric, hungary, mae, vanessa, violin2 Comments on Vanessa-Mae will perform at Budapest Arena in May! First off, I want to say HAPPY BIRTHDAY to Vanessa-Mae! 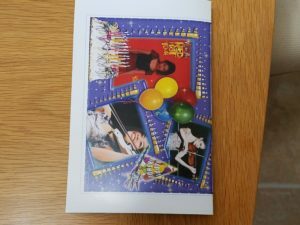 Today, she turns 40, and I hope wherever she is, she’s having loads of fun. I’m also happy to report that she has answered the questions we’ve submitted last year. She has changed managers, which is the reason for the delay. Check out her answers here. I found her answers fascinating! She has now focused on her new album, which is a nice confirmation we’ve waited years to hear. I’m also planning to open a new thread topic where we can ask her additional questions. Good evening Vanessa-Mae fans! Vanessa-Mae just performed this past Wednesday in Tashkent, Uzbekistan. She performed with a youth orchestra specifically chosen for this concert. Unfortunately, I have not been able to locate any footage of the concert. However, she did a short interview after the concert where she recounts her visit. She also talked extensively about being “experimental” with music, and be willing to take chances. You can check it out below. If anyone does find any footage of the concert, please let me know immediately. I will give you credit for the find and post it here on the main site. Thank you! Don’t forget to visit our forum and say hi! [update – 9/22/18] Here’s a clip uploaded to Youtube that contains the first couple of songs Vanessa-Mae performed. Please let me know if anyone finds anymore! Thanks!! Vanessa returns to Russia this spring .. Attention Vanessa-Mae fans in Russia! She will again return to St. Petersburg on March 6, 2018. You can find the tickets here. But hurry, there are only 8 tickets left as of this writing! Update: Someone has managed to record Vanessa’s most recent concert on March 7 and uploaded it to Youtube. Make sure you leave a “like” to show our appreciation for making this available for all fans to see. Many thanks to zeta for finding this! Below are a couple of videos of her last appearance back in February of 2017. If any of you plan to attend, please record as much as you can. Vanessa-Mae only performs a handful of concerts each year. Footage of her concerts are hard to come by as you might expect. Thank you so much in advance. If you do attend, we’d love to hear from you on our forum! Crocus City Hall welcomes Vanessa-Mae again! Vanessa will visit Moscow and perform at Crocus City Hall! If you live in Moscow, then I have great news for you! Vanessa-Mae will be making a visit on March 7, 2018 at Crocus City Hall. She has performed there annually for years. If you live anywhere close by, consider yourself lucky!! If you missed her last concert, another opportunity awaits. Information about getting tickets can be found here. Due to demand, you may not want to wait too long to buy. Russia is one of her favorite places to visit. Furthermore, I have found that no two concerts are alike. Many thanks to Display for relaying this information. Finally, just for fun, I’ve linked a few videos from her recent visits to Moscow. Go to Youtube to find more because there’s quite a bit to look at. Author BenPosted on September 13, 2017 December 13, 2017 Categories NewsTags acoustic, city, concert, crocus, electric, hall, hot, live, mae, moscow, orchestra, petersburg, red, russia, techno, vanessa, violin9 Comments on Crocus City Hall welcomes Vanessa-Mae again! Scroll down to see the questions submitted to Vanessa-Mae. 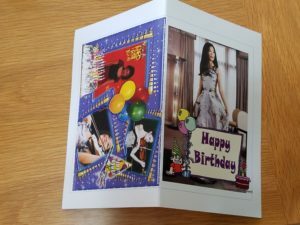 Vanessa-Mae’s birthday is a little over two months from now. She was born on October 27, 1978. Here’s a little fun fact, did you know Niccolo Paganini was also born on that same day? 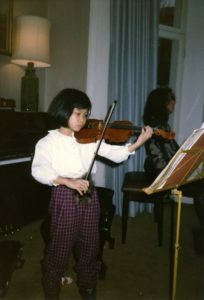 Vanessa has often stated Paganini is her favorite composer. As a tradition, we send Vanessa questions asked by fans on the VMnet forum . We have done this for the past 14 years, and she’s answered every single one! Now I’m giving you the chance to ask your own question. Remember though, I cannot guarantee that your question will be chosen. We only send about six or seven questions total. How? 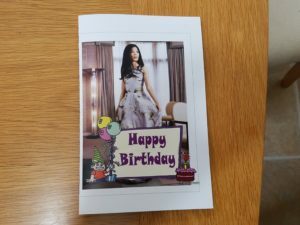 You must first register on the forum and then head over to the Vanessa’s birthday thread for details. We also send presents and this year’s will be very special. The present itself is worth thousands of dollars and will be very unique. I can’t wait to tell you more about it! Happy 39th Birthday! We here at the VMnet forum wish that you had a very memorable birthday, spending time with loved ones and having lots of fun! All of us wish to thank you for the wonderful memories that you have given throughout your extraordinary career. 5) Do you have a strict practice regiment you follow? When you practice, are there certain pieces that you like to play to keep yourself in shape? … and that’s it! Once again, thank you for your time and we look forward to hearing from you! Lastly, her birthday present is still not ready yet. I recommend you visit the forum’s birthday thread to stay informed. Vanessa-Mae plans to visits Greece again in October! Vanessa-Mae concentrates as she performs. She will be in Greece on October 5th! It’s been a bit quiet on news regarding Vanessa-Mae. However, all that has changed! She will appear live in Greece on 10/5/2017. Moreover, You can find all the details here . Unfortunately, the site is entirely in Greek. You can use Google translate or Babefish. Thank you zeta for the heads up! Here are a few videos from her recent performance. If I find more, I will add them here. She had some fun with the audience playing ‘I feel love’. Furthermore, she gave a funny speech before Toccata & Fugue. Vanessa-Mae is continuing her tour she started back in February. This time, she plays two concerts in Bratislava just a few days ago. Right now, there has not been much footage uploaded of the concert. However, I included what I did find below. I will continue to update this page as more videos become available. She looks great as always, and once again wears a beautiful pink dress. It seems like the same one she wore at her Valentine’s Day concert. She did wear another dress, but the footage is quite grainy. Unfortunately, I am not able to tell much as the fan who recorded it was quite far from the stage. May will be a busy month for Vanessa-Mae! She has concerts planned in Macedonia, Israel and Poland all before month’s end. As a result, you can expect to be seeing more footage from these appearances. [updated 5/25/17] Vanessa performs concerts in Caesaria and Skopje! Lastly, don’t forget to visit our forum for the latest news! Here is some great news for Vanessa-Mae fans! 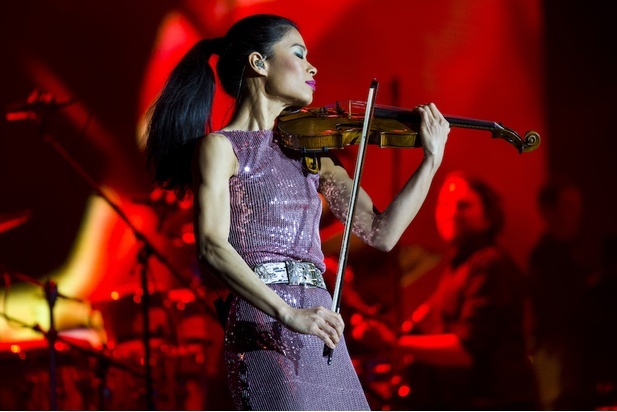 Vanessa-Mae has just completed two concerts in Russia. Some of the fans in attendance uploaded some clips of both concerts. As usual, she performs a variety of music from her pop albums. However, she also played some new pieces she hasn’t performed in a while. She looks great as always, and her violin sounds great despite the accident. It is obvious that the audience enjoyed these concerts. Again, Vanessa-Mae mixes things up when she visits Russia. Consequently, no two visits are the same, which I appreciate highly. Hopefully, CrazyCat was able to attend! This fan has recorded entire concerts at Crocus City Hall for past 4 years. I will continue to update this page as more footage becomes available. Furthermore, if you find anything that is not listed here, please reach out to me on the forum. I would love to hear from you! ***Update*** Photos of Vanessa’s concert at the Crocus City Hall are available on their site. It seems that her concert had a Valentine’s Day theme, as she wore a gorgeous pink gown. Furthermore, I noticed some audience members holding pink hearts made of paper. Some of them even wave it back and forth during certain songs. I’m very envious of the fans that were able to attend. I hope she plans to come back to the U.S. some day! Before I forget, let me thank Display for finding the above link. Thanks to zeta, we found some more music. Below, Vanessa-Mae plays “Love is Only a Game” and “Picante”. These are also from her “Subject to Change” album. What’s noteworthy, she hasn’t been played these pieces in years! First impressions certainly last a lifetime ..
Just recently, I ran across a video on Youtube of Vanessa-Mae performing on the Rosie O’Donnell show back in 1996. It certainly brings back some very pleasant memory, as I see the violin performed in such a way that is attractive, hip, and relevant. The very next week, her first pop CD (The Violin Player) was mine! She performs Mike Batt’s modern interpretation of Bach’s Toccata & Fugue. This also is the first of her pop singles and the title track on the Violin Player album. Even now, it still gives me shivers. It’s quite a treat to see how beautiful she portrays just not of herself, but the violin as well. Live in the flesh ..
She plays this piece quite often on various shows at the time, but this particular performance has two major distinctions. First, she plays this live. Unfortunately, due to technical or time constraints, she often mimes if she is just appearing on a TV show. In this case, she plays 100% live. Secondly, she often has a few members of her band accompany her during performances. In this case, there are none and is solely assisted by Rosie’s Band. I am particularly impressed because I imagine that they only had a few hours of practice at the most before the show aired. So what do you think? Do you agree that this is a particularly engaging performance by Vanessa-Mae? Are there better ones?? Please let me know!